As an after dinner drink to settle the stomach, balsamic vinegars have long been a favorite. This week I discovered Strawberry Balsamic Vinegar at Peggy Finger’s oil & vinegar shop in Midland. It is addicting! The color is so beautiful and bright and it has a perfect combo of tart and fruitiness! After drinking a few glasses of wine at a dinner party, an alcohol free digestive like the original and flavored balsamic vinegars we have today are a welcome change to the high alcohol limoncello, grappa, brandies and cordials usually served. 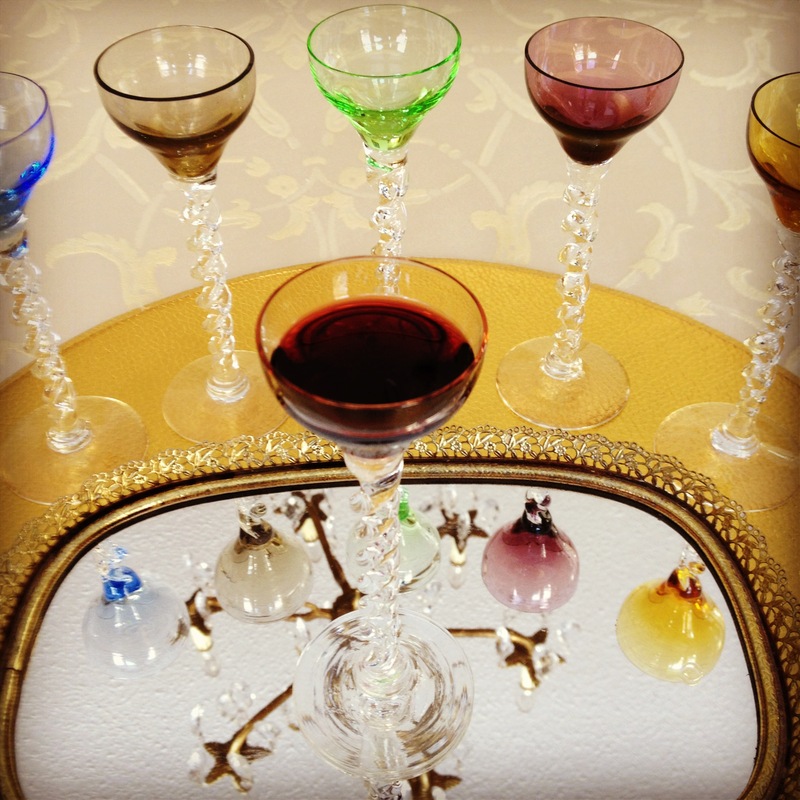 They settle the stomach and give us a chance to use our fancy cordial glasses tucked away in our cabinets! Enjoy! Mercato di O & V is Peggy Finger’s shop located on Rodd Street 1/2 block off of Main Street, downtown Midland. Posted in Drinks and tagged apertif, balsamic, digestiv, Italian, strawberry. Bookmark the permalink. This looks really intriguing, Nina–almost crazy! Have never heard of this–we’ll have to try it. Thanks for sending your aperiff suggestion, Nina! You really need to try this!! !